We had provide locksmith service in New York City since 1983 service with our clients; our Locksmith is professional licensed, Residential Locks insured and bonded for your protection, our technicians are on call 24 hours service to meet your needs. We are dedicated to the professionalism and excellence of our trade. We service all of New York City, Locks and keep a large inventory of security products. 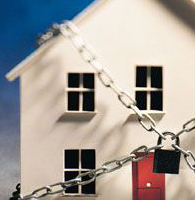 Your call is our top priority Residential Locks. We are the only locksmith company in New York that has the security products to meet all of your demanding needs, one of our qualified. We are dedicated to the professionalism and excellence of our trade. We service all of New York City, and keep a large inventory of locks and security products Residential Locks.